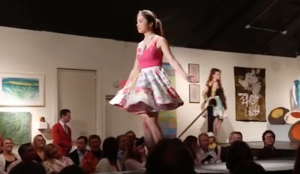 “Fiber, Fabric, Fashion” returns for the third year to New Hope Arts beginning Oct. 20. The invitational show offers an exploration of original and repurposed techniques in fiber and fashion, showcasing wearables, couture, and fiber arts, including a curated collection of work by established and emerging designers and artists. The opening event on Oct. 20 is a runway fashion show featuring a choreographed display of cutting edge fashions created and organized by Sandy Morrison. The fashion show returns the following night, Oct. 21. The fiber arts and fashion exhibition, featuring original and re-purposed wearables, couture, and fiber by 21 designers and artists, continues through Sunday Nov. 4. New exhibitors and established designers are featured, including Morgan Grabarz, a graduate of New Hope-Solebury High School, now attending Fashion Institute of Technology in New York City. 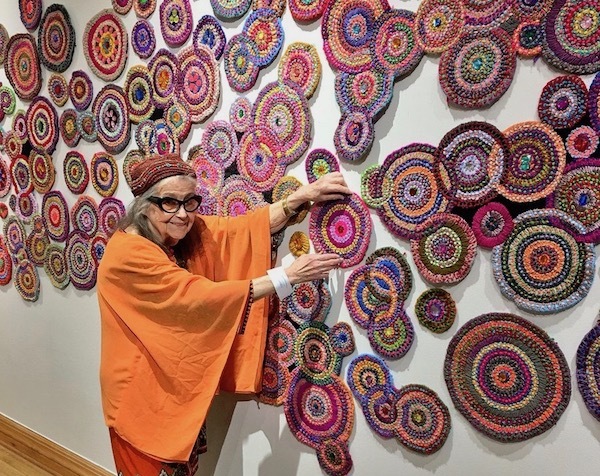 Liz Whitney Quisgard, octogenarian and internationally-known New York artist, offers several of her remarkable wall installations for the continuing exhibition. Throughout the show and exhibition, New Hope Arts will stage a retail boutique stocked with the designers’ wearables and accessories available for sale. The runway fashion show will be held on Saturday, Oct. 20, at 7 p.m., and Sunday, Oct. 21, at 6 p.m. Tickets are available at New Hope Arts online, or by calling (215) 862-9606. “Fiber, Fabric Fashion” is sponsored by a compendium of local businesses and individual supporters, including Brother International Corporation.